We had an actual snowstorm Friday night (Jan 12, 2018). It rained most of the day then there was some ice and finally 4″-6″ inches of snow. The earlier rain and the plummeting temperatures meant the roads were an icy, slick mess. 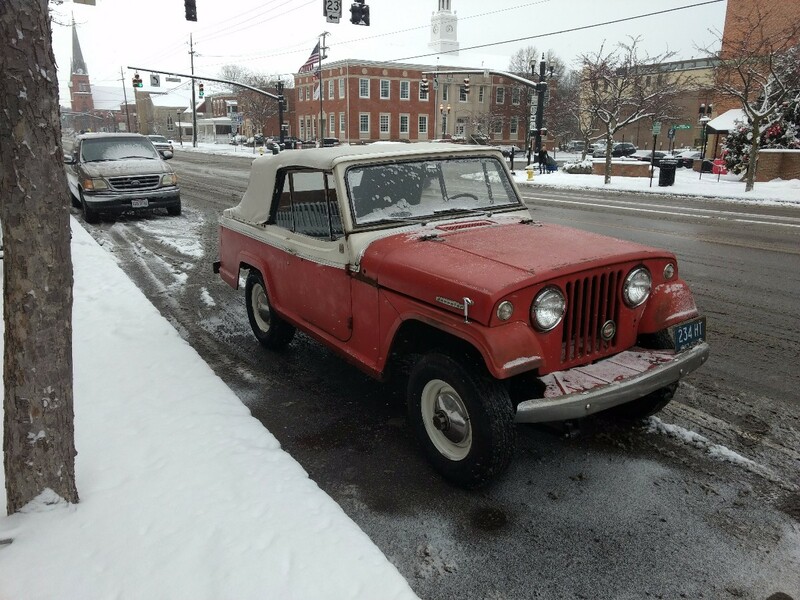 Jeepster weather! Last night we got a couple inches of snow and it kept snowing most of the morning. Which means that for the first time I can legitimately use four wheel drive. It was only 18 degrees and the tires were throwing slush up through the floor and on the windshield but the car is actually brilliant in the snow. I drove it downtown then took both my kids out to a nice vacant parking lot to let them play with it. 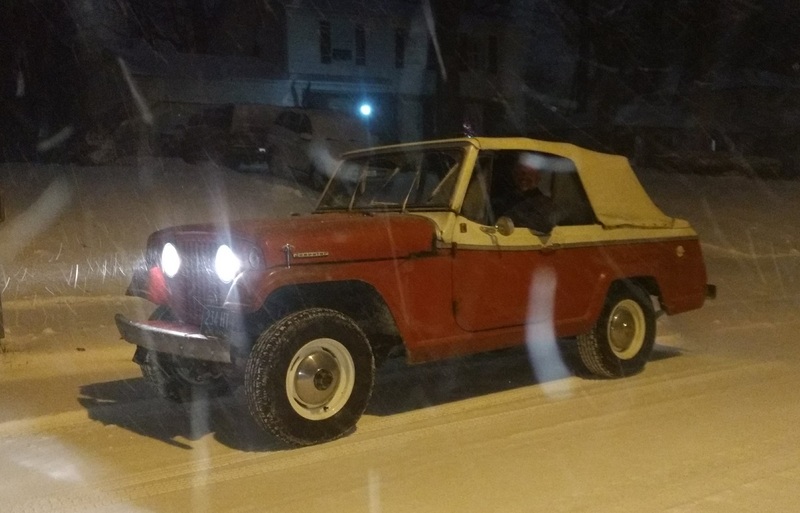 All the 4×4 stuff works perfectly but the transmission was a beast until it warmed up a bit. I really have to get to work on the floorboards.